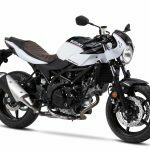 The Suzuki SV650X, a retro-ish cafe racer version of the SV650, is coming to the U.S., along with some minor updates to the regular SV. 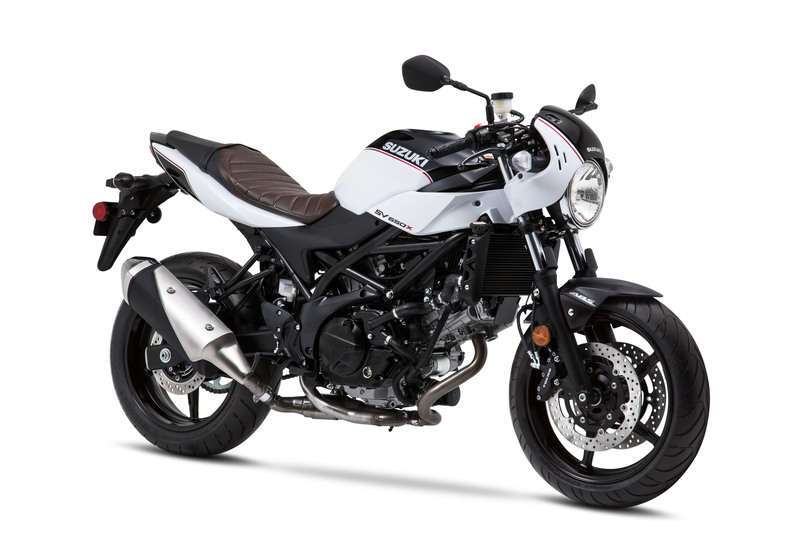 The SV650X has actually been available in other markets as a 2018 model, but the extra wait gives U.S. consumers a new black and white color scheme and upgraded brakes. 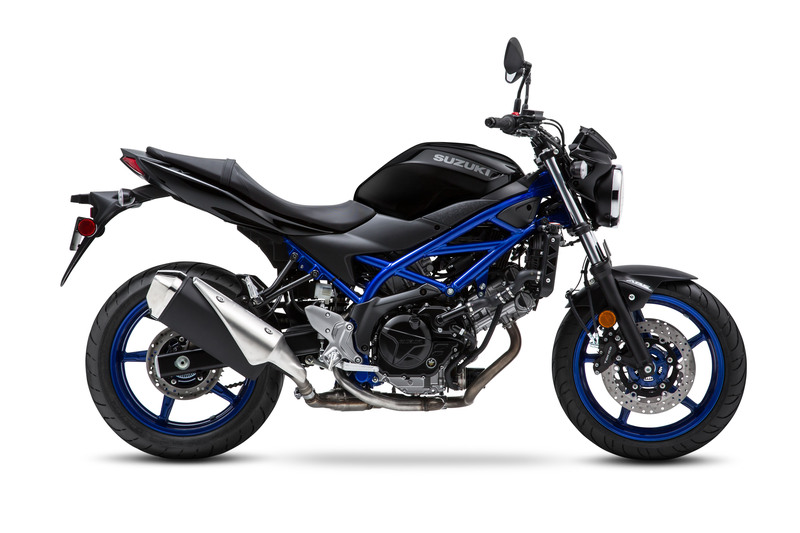 The SV650X is essentially the same, mechanically, as the regular SV650. 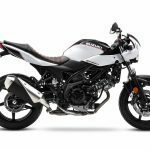 This has become a pattern with Suzuki in recent years, adding different paint and slapping a new letter at the end of a bike’s name and calling it a new model. In this case, Suzuki did a bit more than usual, adding clip-on handlebars, a cafe-style bikini fairing around the headlight and some additional panels around the front of the trellis frame. 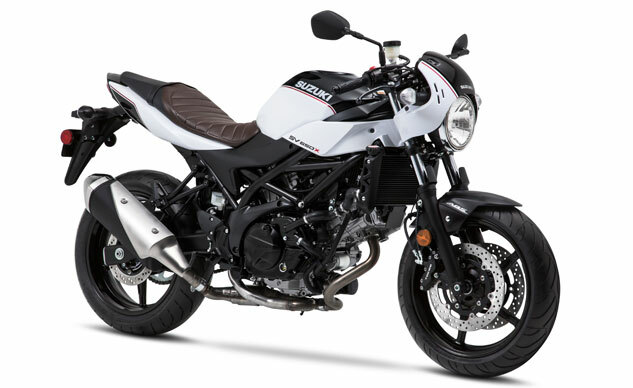 The brown leather-like ribbed seat adds a bit of retro appeal, as does the two-tone Glass Sparkle Black/Pearl Glacier White paint. 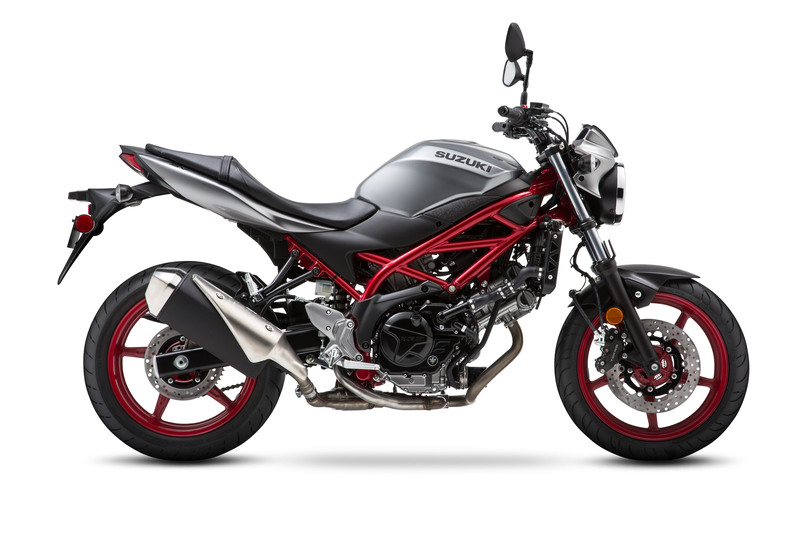 The engine remains the 645cc DOHC 90-degree V-Twin that’s been powering the SV650 and the Gladius for years. 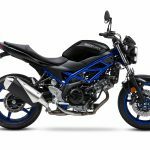 That’s not necessarily a bad thing, as the engine remains one of our favorites. 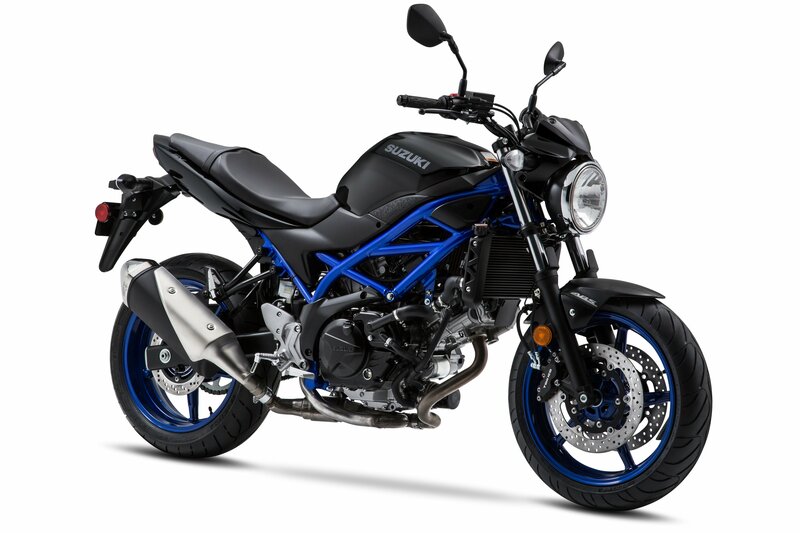 For 2019, the entire SV650 line including the X version receive new four-piston front brake calipers, replacing two-pot brakes on the 2018 model. 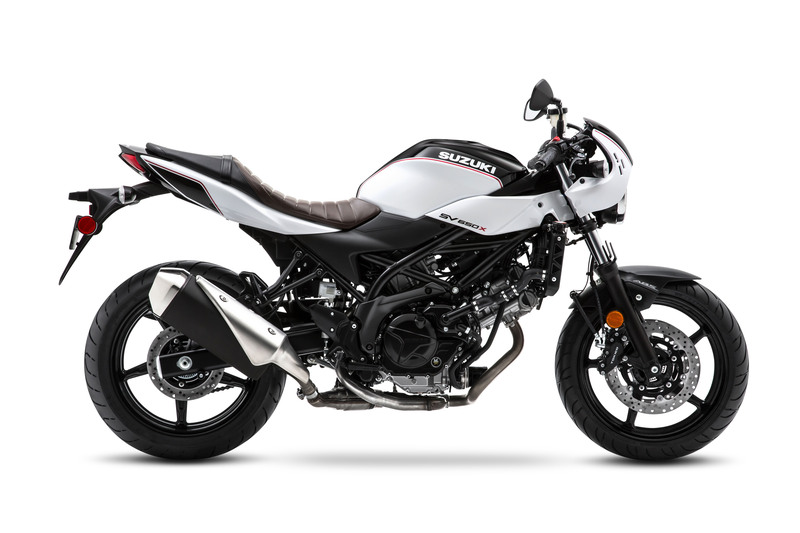 ABS is standard for the X model and optional for the regular SV, but your color choices are tied to whether you want it; the non-ABS SV650 is only offered in the Metallic Oort Gray with red trellis and wheels while the SV650 ABS only comes in Glass Sparkle Black with blue frame and wheels. 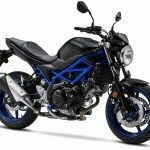 The suspension system remains unchanged, with a 41mm telescopic fork and link-type preload-adjustable rear monoshock combo for all SV models. 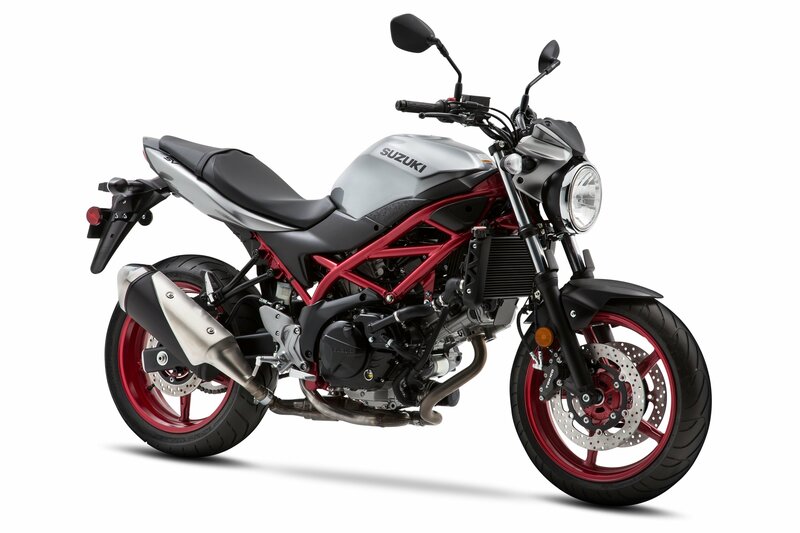 The 2019 Suzuki SV650X is priced at $8,399, which is quite a premium over the $7,099 SV650 and $7,499 SV650 ABS. 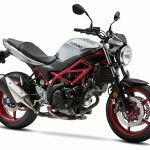 The base model non-ABS version arrives in U.S. dealerships in December while the ABS model and the SV650X will come in January.